The first day that Carly walked in the doors of Mo-Mentum I knew she was here to stay. She looked hopeful and petrified at the same time. That was good! I knew she cared about her results and was willing to do what it takes. I was right! Carly has been determined since the day she started at Mo-Mentum. She’s had her frustrations but has faced them them and moved past many of them. Carly’s had to change some of her perceptions about food, exercise and even time management so she can fit her workouts and food prep into her schedule, and she’s done it. Carly has a growth mindset and has been transforming her life, empowering herself and her family, and strengthening her body and mind for over a year now! She is a bright light at Mo-Mentum and we are so grateful to have her in the family! Thank you for your inspiration Carly! We are all looking forward to getting to be a part of your transformation this next year too! You are a super hero girl! 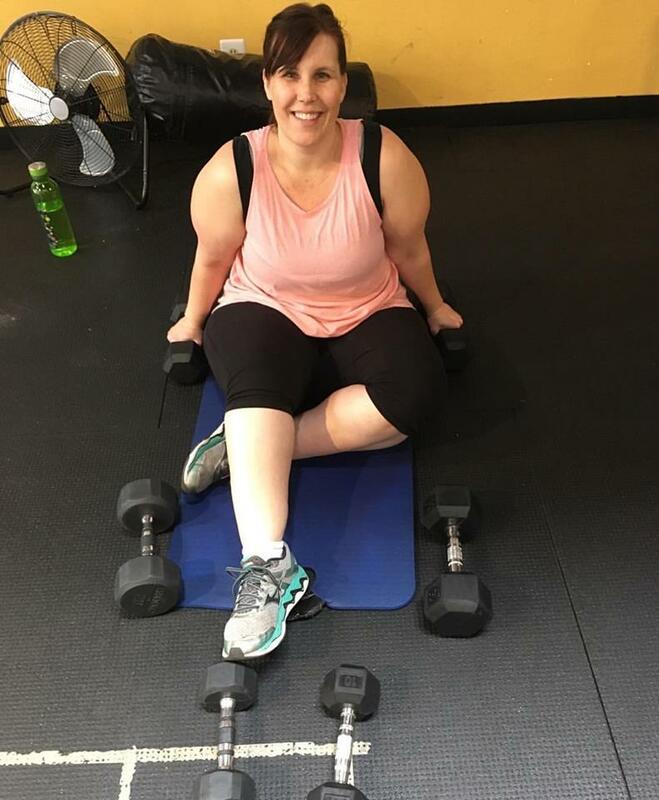 Meet Carly Giffin, Mo-Mentum Fitness’s Superhero of October! She is definitely a superhero! Was there ever a low point or an experience that made your priorities change? Please talk more about the actual changes in your life? (weight loss, confidence, more endurance, less medications etc). What is your favorite thing about Mo-Mentum Fitness? What would you say to the person who knows they need to start exercising but is afraid to start? what’s there to be afraid of?